Working with a team of designers, I created an interactive table for the restaurant chain Hopcat to enhance the visit of a typical customer. To do so, we had to research the space’s initial experience, map it out in various ways to fully understand how the experience works, and find places where technology could enhance someone’s interaction with the physical space. 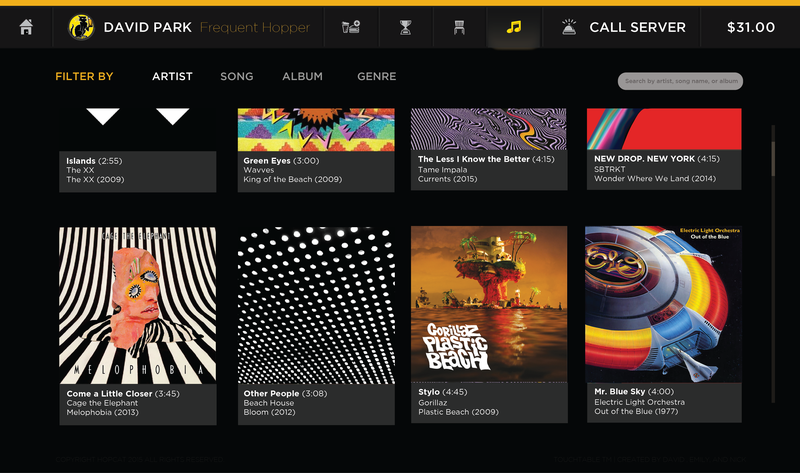 Once we mapped out the experience, we created an interface of a “touch table” that keeps track of orders, has a jukebox, sports scores, and much more. 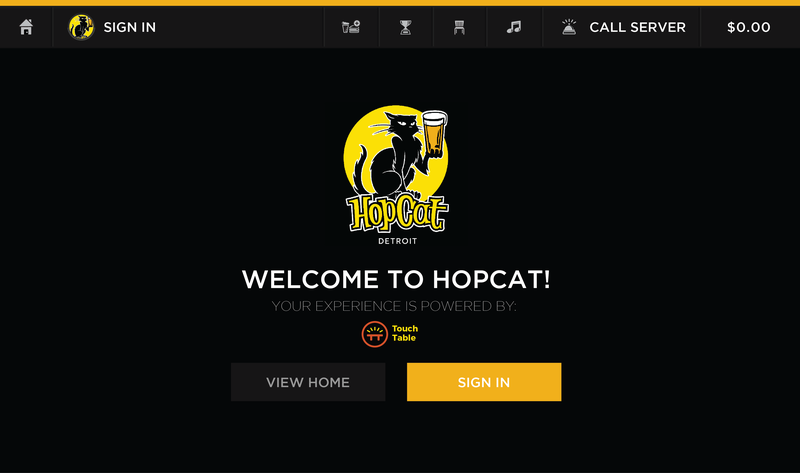 Before we started any design, we first wanted to visit Hopcat to see what the experience is actually like. We attempted to map out the experience of a first-time visitor, an occasional visitor, and a frequent visitor so that we can map out the entire spectrum. 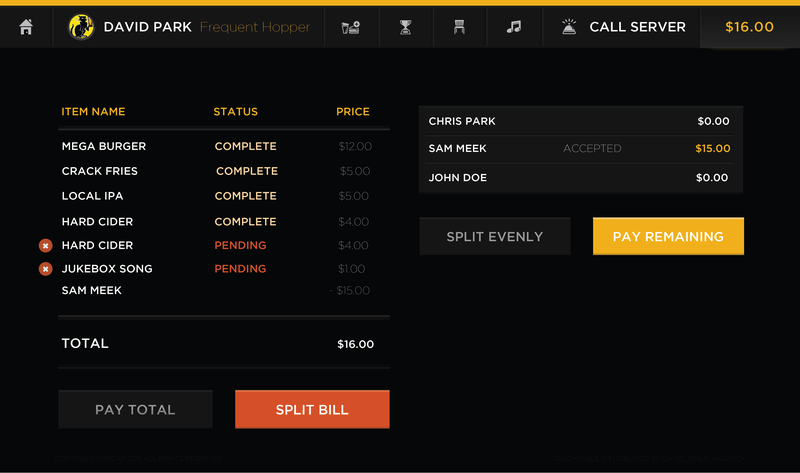 We mapped out the Hopcat experience from arrival, to being seated, to waiting for food, to paying a leaving. 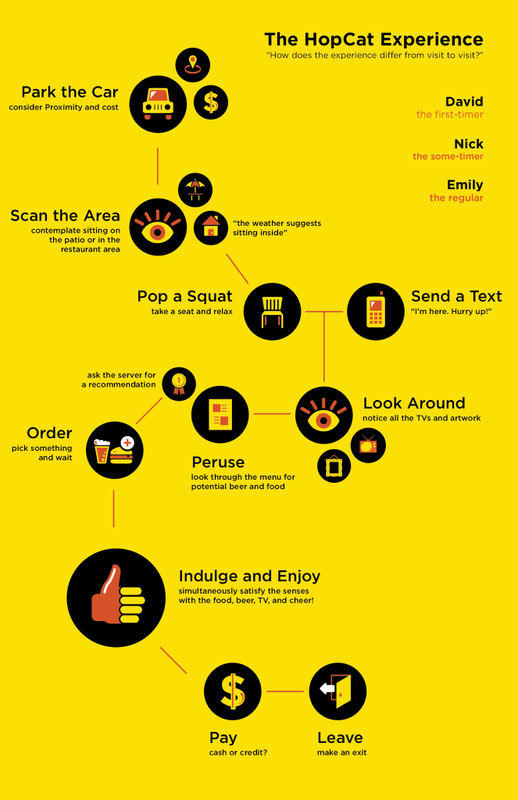 We fleshed out the experience using a visual-heavy as well as a text-heavy map so, when we decided on what technology to intervene with, we could reference back and make sure our product is focused and still makes sense to the event in which someone would be using it. As a team, we each went through and created storyboards of what we wanted the intervention to look like. We decided collectively to intervene using a “touch table” where multiple points of the experience can be condensed in the same place and make the process of visiting Hopcat, quicker, more efficient, and more pleasant. After we story-boarded, we moved onto wireframes, mockups, and final prototypes of the table. With the intervention, we wanted the experience to fully represent Hopcat’s experience, brand, and goals as a business, so we heavily references the design of the website and the interior of Hopcat. 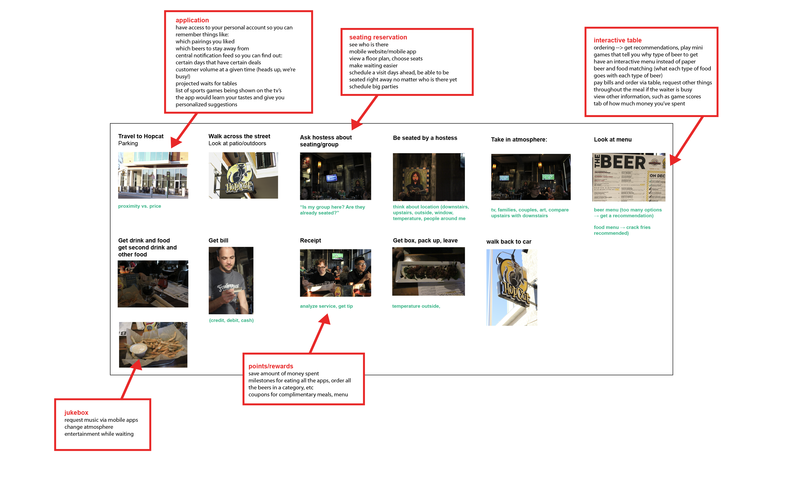 We created interventions for an account-lead dining experience, where a person could sign in and order meals or get recommendations for meals based on their history, tastes, beer or food choice, and more. They could also check scores on games, view a seating chart of the building (pre-visit), choose the music, call a server, and pay for their meal in various forms. 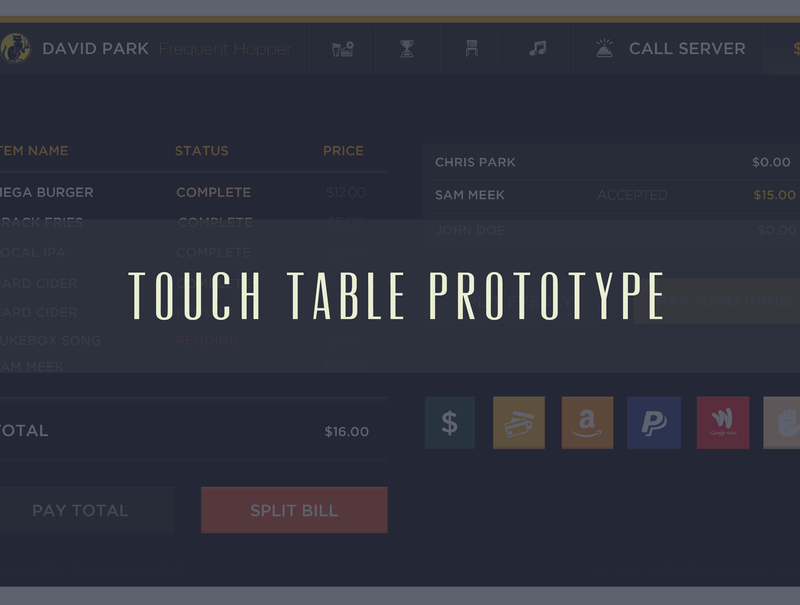 Once the prototype was completed, we produced a commercial of the interface of the table to fully showcase the interactions a participant would have with the table. After all of the research, design, and presentations were completed, I found that I learned a ton about the importance of technology and how it can play a crucial role in making people’s lives better in physical spaces. A lot of the time, people don’t correlate that UX is essential in physical as well as digital spaces, and that sometimes, a creative solution can flip a restaurant experience completely.